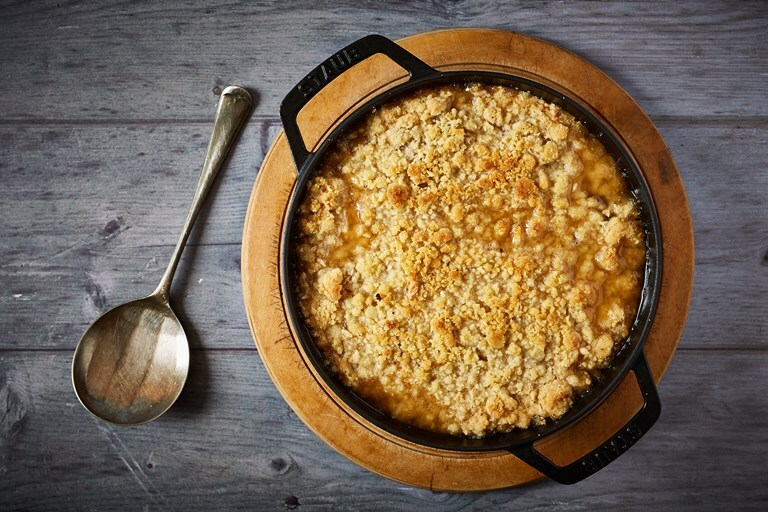 Try out this simple spiced pear crumble recipe for a quick and comforting winter dessert. The crumble topping is lightly spiced with warming flavours of juniper, cinnamon and ginger which go beautifully with the pears. You can prepare the filling and topping separately in advance if you're short on time.